Surrounded by one of nature’s most spectacular landscapes, the Crescent Moon In at Kayenta is located in the southwest corner of Utah in the high desert of the western United States. 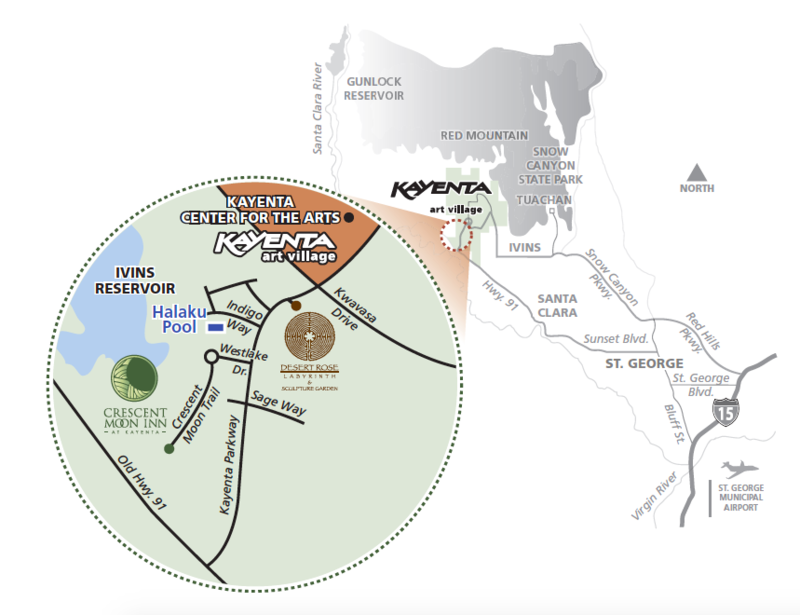 Kayenta reaches in all directions and extends approximately 3 miles in length and 1.75 miles in width, for a total of 2,200 acres. Over 80% of Kayenta’s protected enclave borders Wilderness Reserve. Direct flights are available between St. George and Salt Lake City on Delta Airlines and Los Angeles on United Airlines. Travel time is approximately 1hr 30min or less. Direct flights are available between most US cities and Las Vegas. Shuttle service is available to St. George from Las Vegas.